With the recent move I haven't felt very inspired in the kitchen. Honestly, I am in a bit of a rut. The produce in Charleston is absolutely wonderful, but I haven't had any desire to turn on the stove. Maybe it is the heat, maybe it is my laziness, but there have been a lot of smoothies and salads around here. This post is what is real. This post is what I am eating now. Beans work their way into a lot of my meals. I eat mostly vegetarian during the workweek so they provide the protein and fiber my body needs. 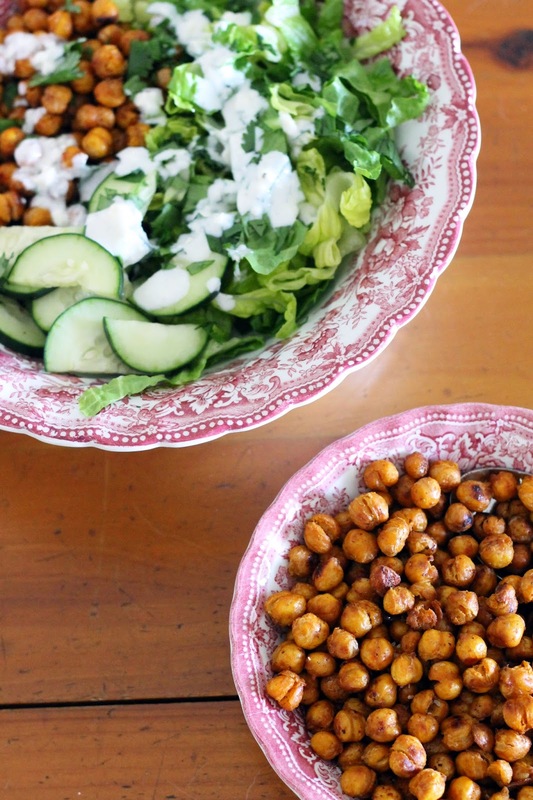 These spiced chickpeas add a welcomed heat and texture to my everyday salad. They are an easy additional to any mid-week salad, and are great alone as a snack. What are some of your go-to weekday meals? Preheat oven to 450 degrees. Pat chickpeas with a paper towl to dry. 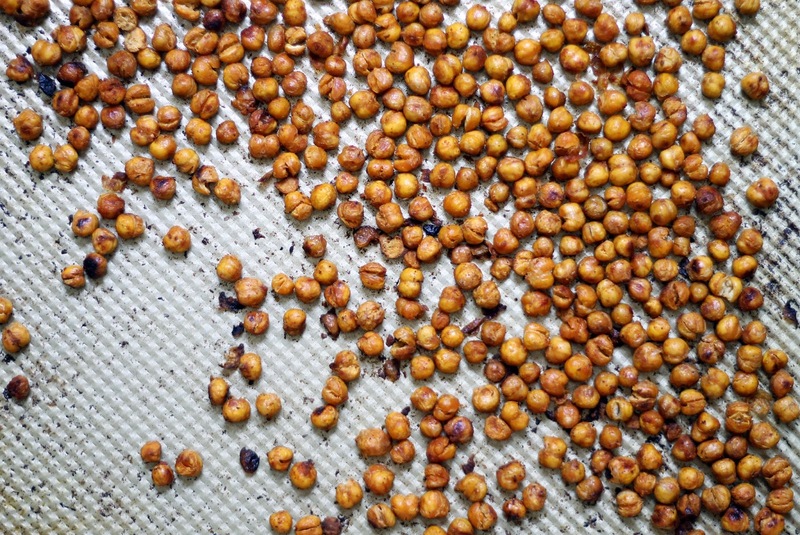 Toss chickpeas with paprika, cayenne pepper (use as much as you like), salt, pepper, and olive oil on a baking sheet. Cook for 25 minuets, tossing occasionally until chickpeas are a deep brown. Allow to cool. 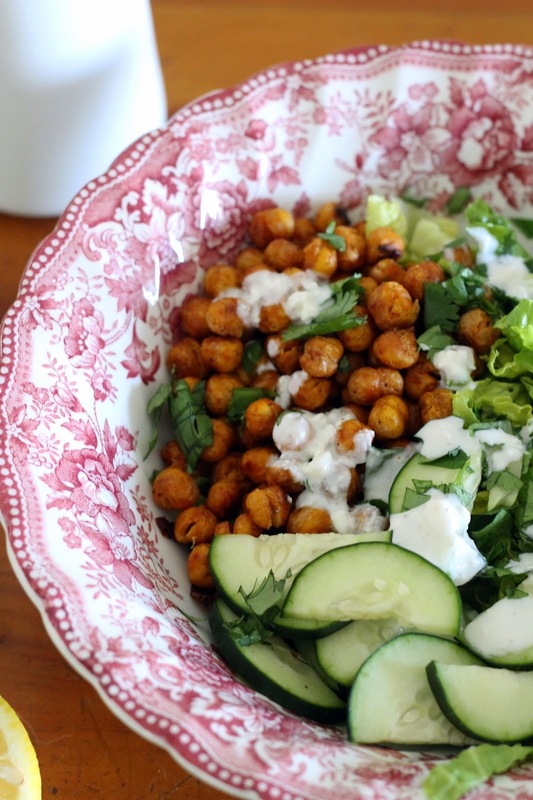 Combine 3/4 cup roasted chickpeas, lettuce, cucumber, and cilantro in a large bowl. Top with dressing and serve immediately. 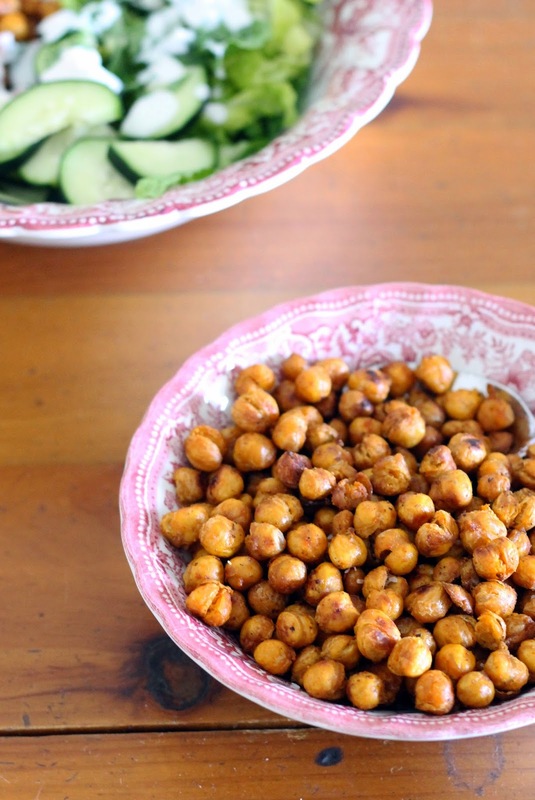 There will be leftover chickpeas which are perfect for snacking. 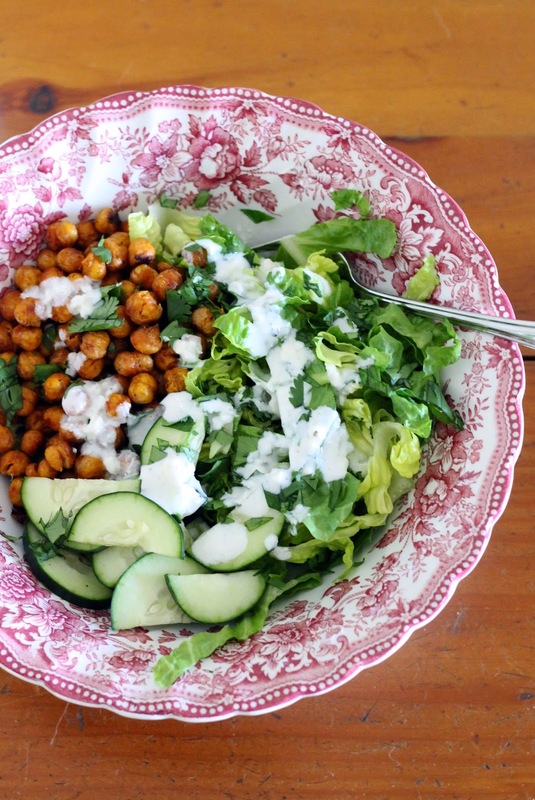 Add additional chickpeas, lettuce, cucumbers, and cilantro to serve a larger crowd. Combine kefir, feta, sour cream, and lemon juice in a bowl. Stir to combine, using a spoon to break up any large chunks of feta. Season with salt & pepper. Add water if it is too thick. Keep refrigerated.